Colleges are important institutions for promoting social mobility and economic development. Lately, a number of schools have opened in Puerto Escondido and with them the hope that that they will lead to improvements in this beautiful place. The University of the Sea (Universidad del Mar — UMAR) is a state school that opened its first campuses in Huatulco and Puerto Escondido in 2000.The Puerto campus currently offers degrees in biology, computer science, forestry, animal husbandry and, most recently, nursing. The first for profit college to come to Puerto was the University Institute of the Coast (Instituto Universitario de la Costa), a branch of the University Institute of Oaxaca. It has programs in tourist administration, gastronomy, accounting, languages and computer science. In 2009, the Network of University Schools (Red de Escuelas Universitarias — REU) opened a campus in Puerto on Marina Nacional Avenue where it offers programs in administration, architecture, communications, computers and pedagogy. This school has other campuses on the coast with more courses. 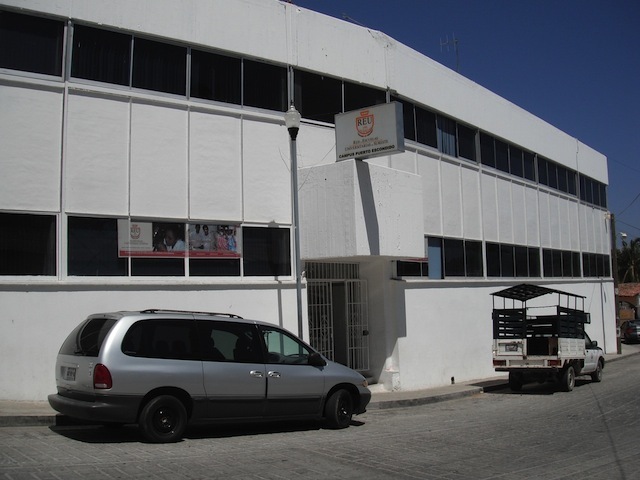 The International University of the Pacific (Universidad Internacional del Pacífico — UNIP) also came to Puerto in 2009. It is now located next to the Amistad school near the Benito Juárez market. Since 2012 it has been licensed to award degrees in business administration, accounting, communications, university teaching and law. The latest arrival, 2012, is the University for Academic Development, Research and Culture for Working People (UDAIC). It offers courses in child psychology, accounting and education. 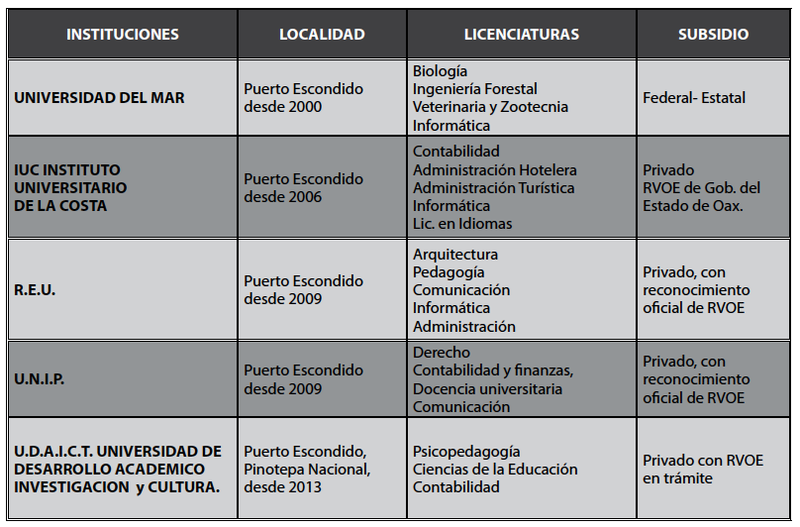 Although there are other institutions of higher learning on the coast (see below), Puerto has the highest concentration of colleges. These schools not only engage in research but also contribute to the city’s cultural life. Will Puerto provide jobs for their graduates? Will the graduates themselves generate the necessary changes? Are these institutions simply responding to a market or are they provoking the kind of deep transformation that a participatory society requires?